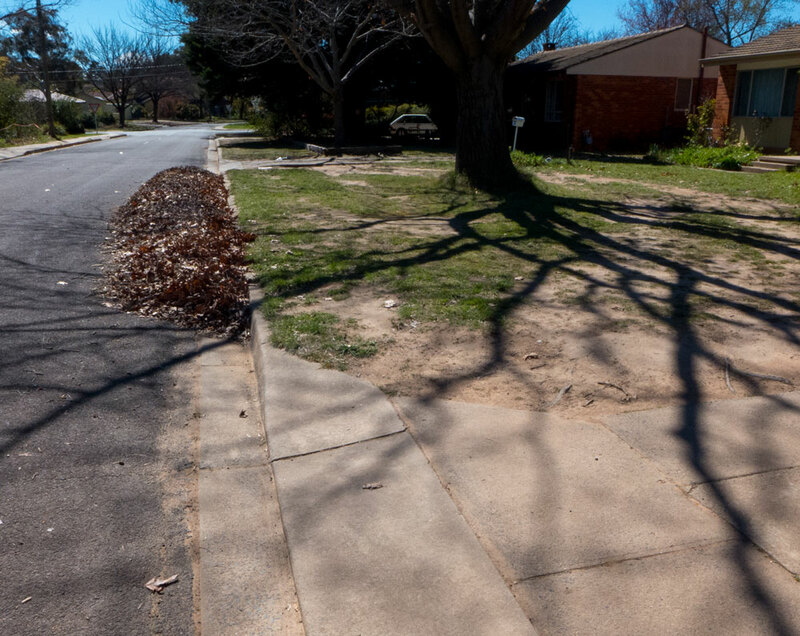 But that does not stop residents raking these pesky leaves off their lawns in order to keep their precious front lawns and nature strips all neat and tidy. But it is a bit of a mystery of how neat some residents think their front lawn looks when the leaves are swept away. This one isn’t exactly a showcase of front vegetation. The front area is used for car parking at night, so maybe the leaves are a hindrance to the cars. Who knows!